"The web site you are trying to access has exceeded its allocated data transfer." Sorry. Can't get in right now. EDIT: Managed to get in and see a few pictures, before I started getting the same message. more a showoff of jdoom's prettyness than of the actual maps. the level and quality of play. We all know this. You sure now how to motivate someone who might me willing to upgrade his ancient levels to higher quality and might be willing tobe posting over here at the forums and maybe get some tips for doing so. NOT. Best regards to the community. And where can we find this map of you sargebaldy? Damn no subject in replies. Hmmm....well I saw the shots, and frankly, their nothing special IMO. Sorry dude, but that's what I think. Jdoom does enhance the screenies, but most of all the level and quality of play. We all know this. I'd like to know how it enhances the 'level and quality of play'. Download fear2.wad now. This is probably the best piece of designing i have done up to this very day. I'd love to redesign it for newer 3d engines but i'd have to convert a great deal of textures and simply don't have the time to do this. Anyway it will still be worth your wile just walking around through this brilliant piece of design & art in Doom2. The level design beats the doom3 E3 alpha leak levels (2003) any time of the day ! No doom level competes with this one. As the french would say: Point finale. Uh, I still say to look at the shots, you must have low standards for level design. 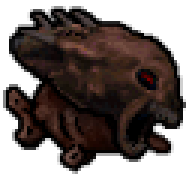 EDIT: I was poking around your site, and I noticed doom2.zip, complete with a big Doom II logo. I'm assuming this is the full version. It would behoove you to take that off your site. It's a bad idea to post a link to your site and have warez sitting right there waiting for everyone to see it. It's like waiting to be banned or something.